Provides a protective and decorative coating that protects the surface from Mould and Mildew for at least 5 years, Guaranteed! Perma-White Interior provides surfaces such as Swimming Pool Ceilings, Kitchens or Bathrooms with a protective and decorative coating that protects the surface from Mould and Mildew for at least 5 years, Guaranteed. Zinsser Perma-White Interior Matt Paint has been formulated for application by either brush, roller or airless spray to surfaces such as ceilings and walls in high-humidity areas such as swimming pool ceilings, bathrooms and kitchens where a durable, low sheen finish is desired. Zinsser Perma-White Interior Matt Paint was previously known as Eggshell. Zinsser Perma-White is a self priming product that sticks to the surfaces without the need for sanding and offers users a stain and moisture resistant finish that allows for easy washing and scrubbing that won't damage the finish. Apply two coats of Zinsser Perma-White to provide swimming pool ceilings with the ultimate Mould and Mildew resistant finish that simply screams out elegance. Zinsser Perma-White is not only suitable for Swimming Pool Ceilings but can also be used in basements, bathrooms, locker rooms, laundry rooms, closets and enclosed porches to do the same job as it would in a Swimming Pool enclosure. Zinsser Perma-White can be applied using brush, roller or airless spray and has a theoretical coverage rate of 10m2 per litre, available in 2.5, 5 and 10 litre tubs which are more than sufficient for coating a swimming pool ceiling with two coats of Zinsser Perma-White. 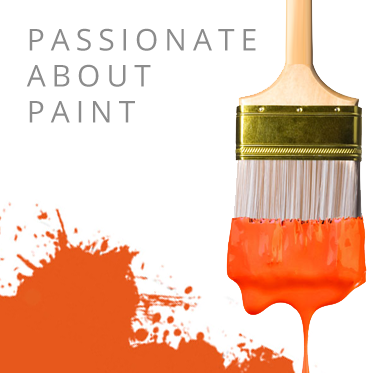 Zinsser Perma-White will adhere to gloss or semi-gloss paints, existing wall coverings, ceramic tiles and similar glossy surfaces without prior sanding. Zinsser Perma-White is more than suitable for use in internal environments such as Swimming Pool. Environments where the need for a crisp looking long lasting coating is essential. Zinsser Perma-White out-performs most other premium mildew resistant interior paints in independent laboratory tests (ASTM D5590) and will not fade or yellow over time as it works to resist against the attacking chemicals in the air. PERMA-WHITE passes severe ASTM 5590 and 3273 tests even when subjected to combined strains of mould & mildew spores. Available in 2.5 litres, 5 litres and 10 litres. Tintable: Tintable to Off White, Pastel or Medium Colours. Please note, bespoke tints are non refundable / exchangeable. Suitable Substrates: Recommended for interior use on new or previously painted gypsum drywall, cured plaster, cement, poured concrete and stucco; concrete block; ceramic tile; primed or previously painted wood and metal; vinyl paneling; aluminum; rigid, paintable plastics, laminates, and other paintable surfaces.